This microwave kiln allows you to melt glass in a standard microwave oven to create jewellery, or glass components for jewellery and other creative purposes. This technique of 'glass fusing' is now available for everyone. With the microwave glass kiln there is no need to buy a special, expensive fusing kiln, any simple, cheap microwave will do the job.The HotPot kiln is made of Bio Soluble fibre, which is ultra light and nonhazardous. The lid has a special black coating on the inside that makes it possible to obtain extremely high temperatures inside the pot, causing the glass to melt within several minutes. We recommend that you use a different microwave oven to the one you cook food in. MICROKILN SAFETY WARNINGS: 1. Kiln and contents become extremely hot. Handle with care. 5. After removing the Microkiln from a microwave oven do not set the Microkiln down on top of or in proximity to any surface that is flammable or that could melt, such as a kitchen counter or the top of the microwave oven. 6. Always wait at least 20 minutes after the Microkin has come out of the microwave oven before attempting to open the Microkiln. 7. Always follow the manufacturer's instructions that came with the microwave oven for safe operation of the microwave oven. 8. Vent the microwave oven properly if firing any toxic materials in the Microkiln. 9. Keep the Microkiln out of the reach of children. 10. Use at your own risk and follow all recommended and common-sense safety precautions. 1. Outer: standard export carton. 2. Package method also can be requested by customer. 1, Express delivery: we offer FedEx, UPS, DHL, TNT, EMS, etc. convenient transport. Customer can choose methods according to your condition. 2, Air parcel and ocean shipping. Tianjin Port for shipment. Other ports chosen according to customer's requirement. 3, We have superior freight forwarder company to offer the most security service. Customer also can choose your freight forwarder company. 1. Accept payment via T/T, L/C, Credit Card, Paypal, Western Union, Escrow; 2. Stock order: pay all before delivery the goods. 3. OEM/ODM order: 50% payment in advance before we arrange for production and pay balance before deliver goods. 1. Please prepare detailed information for us before confirm order, We will offer excellent service for you. 3. We will offer delivery information via email after delivery your order. And offer tracking service until you get goods. 1. 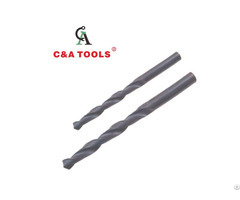 Professional manufacture of diamond tools for stained glass, fired glass, glass, mirror etc. 2. Factory to excellent quality, reasonable price, advanced management, imports of production equipment, superb production technology, according to the products you need to design, manufacturing. 4. Factory price, wholesale price are available. 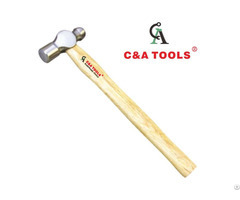 1.We are the manufacturer of diamond tools with twenty-years experience with nice reputation. 3.High quality, Best service, Reasonable price, Timely delivery. 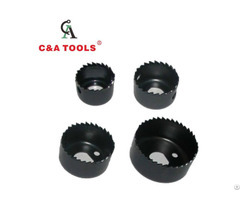 Business Description: The products is including various diamond cutting tools, grinding tools, engraving tools, microwave kiln and other five categories over 100 varieties.